Discussion in 'Model S: Ordering, Production, Delivery' started by Gear, Aug 13, 2013. So I originally went for a test drive about July 11th out of curiosity about the experience of driving this car after becoming a shareholder in February. I immediately fell in love and scheduled a second test drive to finalize my purchase decision one way or the other and placed my order and gave my deposit on July 16th. After several days of squaring away my financing and waffling on the options I wanted, I finally got my order confirmed on July 23rd. I ended up getting contacted the next day by my delivery specialist shortly who got my delivery date sorted out for this Friday (August 16th) at the factory to include a factory tour at 11:00AM. Ever since, I've been anxiously waiting for my car. Not seeing anything change with the status of my car when I log into my account, I finally called today to check on the it. Not being able to get a hold of my DS, I called the backup number from her voicemail and talked to somebody else who started to look into things for me. I got a call back just about 30 minutes ago, 3 days before I was expecting to pick up my car, with my DS saying she's glad I called to check on the status because it looks like I won't be able to take delivery until early September sometime. This causes problems for several reasons. Firstly, my bank had given me an approval that was good for 30 days on July 18th, so this means I will have to reapply for my financing unless I can talk them into giving me a special extension of some sort. Secondly, I had requested the day off from work for this and so did a friend who was going to accompany me on the tour. 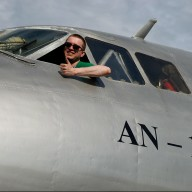 Thirdly, I also rented a plane to make the trek up there as it's something like 400 miles from my house, so my friend and I were going to fly up, go on the factory tour, and then I was going to drive the car home testing the Supercharger network along the way, with my friend flying the plane back. The only consolation to be offered by my DS is that they're "very sorry" and that I can take my time to think about whether I still want to do the factory tour or have it delivered closer to me sometime in September, "probably the first week", in the LA area. As much as I love the car and the company, this can't be considered acceptable. To hear about a delay in my delivery date only 3 days before I'm expected to take delivery, and only upon my prompting them about it, is extremely disappointing and very upsetting, especially because of the lengths I've gone to plan for picking up the car. I'm less upset about my own time than I am for my friend's who also took the day off to be there for it. Again, this can't be considered acceptable customer service. Any thoughts or advice? Plan for the next pick up date...? make them give you a loaner P85 + for your trip back home and fly up and do the factory tour. They can get the 85+ when you are done. Call again tomorrow and be sure to verify the delay. Do you have a VIN#? It is a bummer and hope it gets resolved. Exact same thing happened to me! Are you dealing with the Bellevue rep? We just got rid of our old car and activated insurance for our model S when yesterday afternoon I got the most haphazard "apology" phonecall. I don't mean to seem super entitled, but I am spending a lot of money on an 85KWh Tesla and being notified of a multi-week delay when a mere five days ahead is completely bonkers. I was hoping to at least get a free Tesla shirt out of the ordeal. They don't seem interested in our concerns. That's the thing. How much of a notice would I have had if I didn't take it upon myself to call? Would I have showed up Friday, taken the factory tour, and then been told my car wouldn't be ready for another couple weeks? Who knows? Yeah, I've had a VIN# since confirming my order as far as I can remember. I sent a followup e-mail to my DS explaining my disappointment and providing a link to this thread. I hope it gets resolved too, but I'm not optimistic it'll be resolved to my satisfaction since I was really looking forward to having my car this weekend and that's clearly not going to happen at this point. No, I live in SoCal. I've been dealing with the DS presumably located at the headquarters. Even weirder, on the phone our DS was insistent our original delivery date was the 26! All I can say is, this is typical. I can't count the number of stories like this I've heard. My own wasn't that bad but I was riding Tesla the whole way, calling on a weekly basis and demanding the phone numbers of supervisors and so on. You just gotta escalate. Find out what the hell happened. (Perhaps there is some kind of excuse -- your car failed Quality Control and had to be built fresh, or something -- but they should tell you if that happened.) Tell Tesla specifically that Tesla has caused trouble with your bank because they gave you bad information and you relied on it. And yes escalate. Hell email Jerome. We have his email address around somewhere. You mean a loaner for the two weeks or so until I get my car? They wouldn't do that, would they? In our case, we were told something about "European production run something something"- that I'd have thought they'd have seen from miles away. I suppose so. When I started this journey- I was convinced Tesla was not just another car company. But at the end of it- they just happen to be a car company that makes the best car ever made. I love Tesla and will still evangelize them, but I am a little surprised that their customer service has so much learning left to do. Not if you don't ask. Sigh. This is stuff Tesla should really have worked out by now. Lots of excuses flying around last year about how they were understaffed and ramping up. Can't rely on the "new guy" excuse forever. I'd press them. I already sold my ICE car and finalized my Model S order on Jul 31/Aug 1, and was told delivery on Aug 20. Then I find out it's been pushed to September because of Norway or some vague excuse. Weird thing is the My Tesla dashboard still says "Late August" for delivery. It's all extremely confusing and a bit frustrating. I had hoped they had their act together in new customer orders and communications and deliveries but apparently not. You won't know until you ask. The real problem here is in the financing as you could theoretically have that fall through due to their delay. Plane rental, day off... all that can be moved, it won't change your disappointment level but it can be moved. I think you deserve a straight answer. If your car flunked QC then you'd much rather be disappointed from the comfort of your home than the middle of I-5 in a SoCal heatwave with a car that just bricked at 70MPH on the Grapevine. Id be happy to hear if that were the case because I've read a few horror stories of vehicles being delivered that had no business ever leaving Freemont. That said, Tesla has seemed to go above and beyond when they have put their customers in a bind so I would suspect that trend would continue. Heck, Tweet Elon if you have to. It takes them 3 days to make a car so frankly there doesnt seem to be much reason why they CAN'T get it to you... it's up to you to make them WANT to do whatever is in their power to do, and give you an honest answer as to precisely what went wrong. MOST OF ALL KEEP US POSTED! They should have. I was told back in February by several people in sales that communications between the sales department (uh, I mean "ownership experience") and the factory was extremely poor. I really would have thought that they would have fixed that by now, but apparently not. Someone (at a guess I'd say it is the "VP of Sales and Ownership Experience") has just not been doing his job very well. But at the end of it- they just happen to be a car company that makes the best car ever made. Ha! That's how I feel about them too. Good way to put it. Your beef with tesla is quite hilarious! Tesla shouldn't be giving unrealistic delivery dates. Three weeks beween ordering and delivering just isn't realistic, now that European production is in full swing. Underpromise and overdeliver! Stories like this really piss me off. I feel for you. Making a car as good as the roadster or Models S is damn hard. Not rocket science, but still hard. Keeping the customer informed as to when he is going to get it, in comparison, does not seem difficult. But, three years on since I got my roadster, Tesla still haven't worked it out. It was a mess then, and is still a mess today. Sure, the communications from my customer advocate was fantastic. But, it could have been so much better. How about automated pictures of your actual car at different stages of production at the factory? How about automated notifications when it reaches different stages of production? They track the cars internally, and I'm sure that the factory knows down to the bolt what is going on. But, they just seem incapable of exposing that information to the customers. FEDEX/DHL/UPS can do it for millions of packages every week, so what is so hard about doing it for a few hundred cars? If it was me, My Tesla would show the _exact_ production status. Estimates up to when it gets on the floor (based on the scheduling system). Then, when it enters production, My Tesla would be updated at least once a day with stage of production and automated pictures of the actual vehicle being built - right up to QC stage. I really fail to understand how My Tesla can say one thing while the delivery specialist says another - they should both be working off the same information.